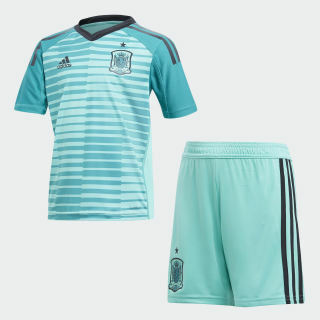 A goalie kit for young Spain fans. 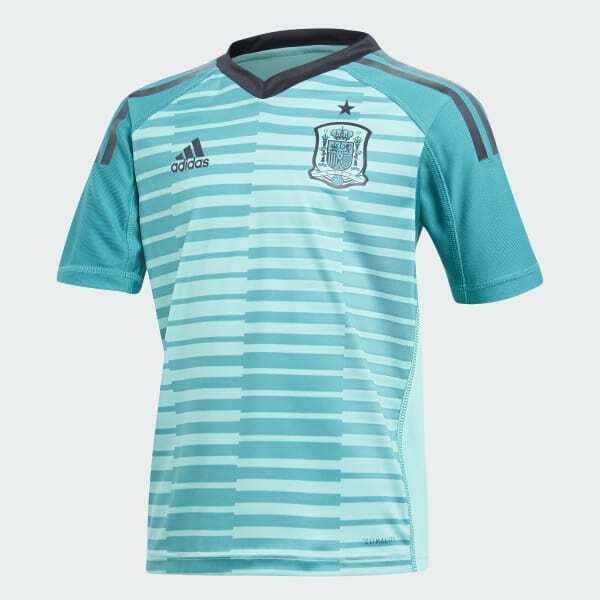 Fire your little stopper's dreams of keeping clean sheets for Spain by dressing them in this kids' football mini kit. A scaled-down version of the home strip worn by Spanish national team goalkeepers, it includes a shirt, shorts and socks and features Climalite to keep them warm and comfortable.